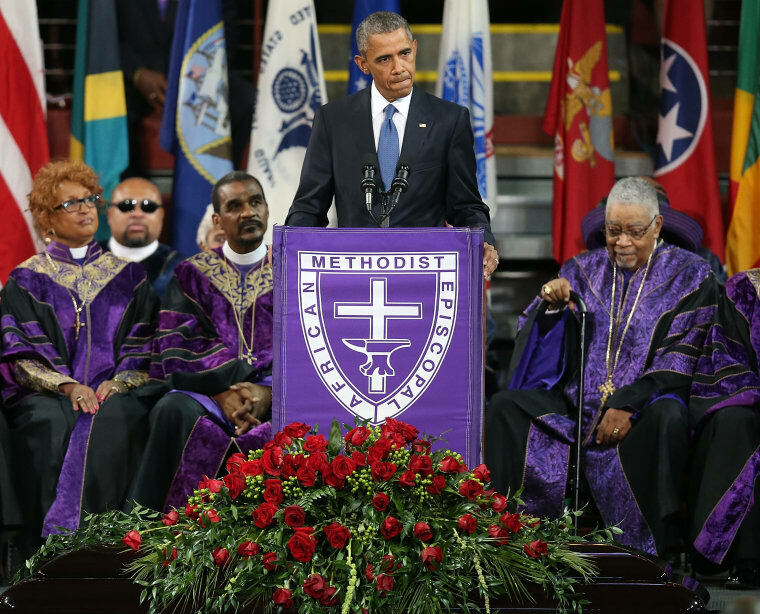 The President eulogized the Rev. Clementa Pinckney. The President has broken into song at public events before, but mostly at celebrations: he sang a bit of Al Green’s “Let’s Stay Together” at an Apollo fundraiser, and did “Sweet Home Chicago” with blues legends at a White House event. This time was different: after delivering a eulogy at the funeral for Rev. Clementa Pinckney, one of nine killed in the recent massacre in Charleston, SC, President Obama started singing “Amazing Grace.” By the time he got to the second line, everyone joined him. After a verse, the President named every victim one by one. Watch the moving clip below.